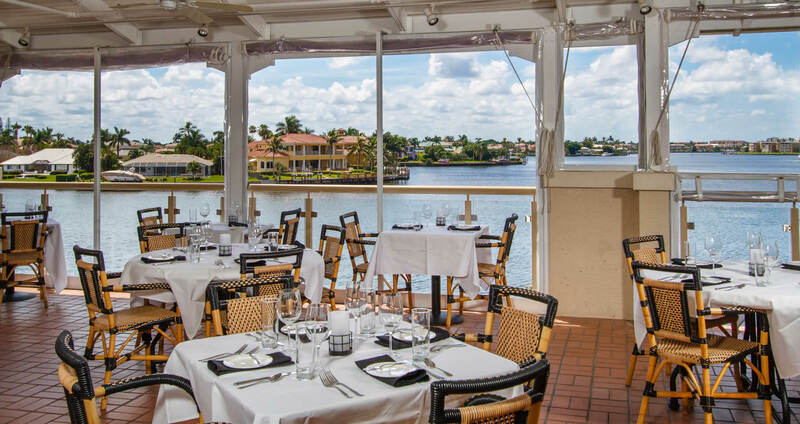 Bayside Seafood Grill & Bar – The best waterfront and seafood destination in Naples. 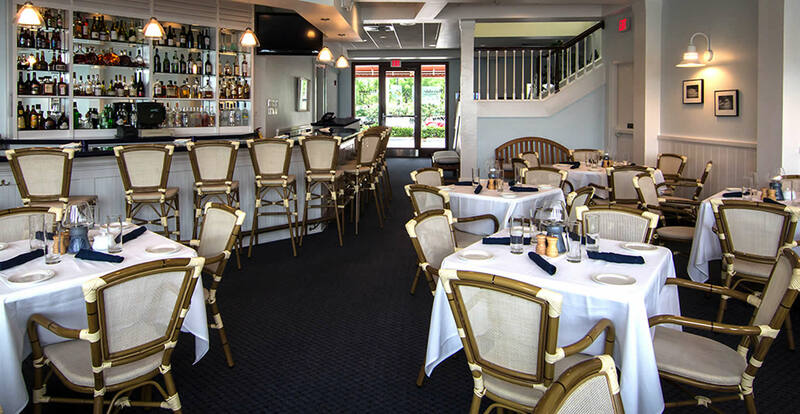 Casual to elegant dining on two floors. Covered and open upper deck w/ full bar and live music. 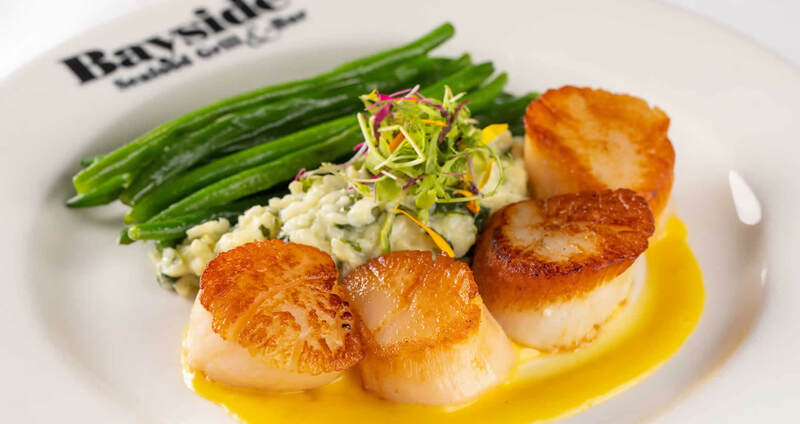 Since our founding in 1990, Bayside Seafood Grill & Bar has been recognized and loved as a local destination for fresh seafood and classic cuisine in a memorable waterfront setting. Under the direction of co-owners, Tony Ridgway and Sukie Honeycutt, managing partner, John Everding, and executive chef, Abel Gonzalez, Bayside offers a little something for everyone, with two full bars, casual dining in our first-floor Café, and the sophistication of the second-floor Grill, as well as year-round live music on our Upper Deck overlooking the bay, and elegant private dining in our Vintner’s Room located inside Sukie’s Wine Shop. 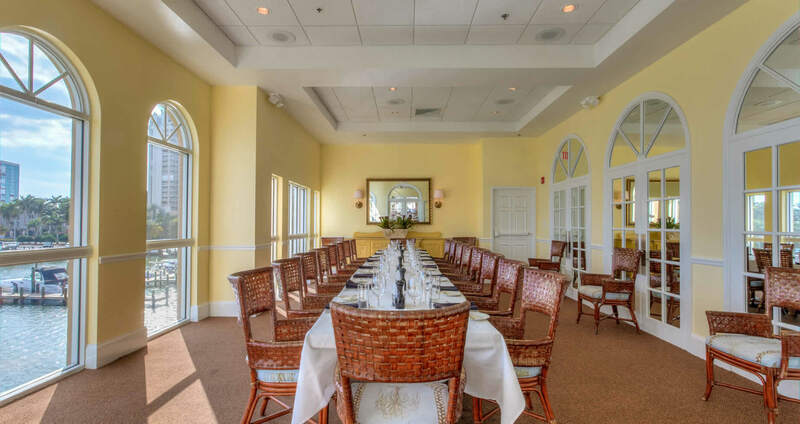 Open daily for lunch and dinner throughout the year, and featuring brunch on Sunday, locals and visitors flock to Bayside for an exceptional dining experience in an equally exceptional location. The Café: Located on the first level, open 4pm-close daily, including a full bar and table seating. 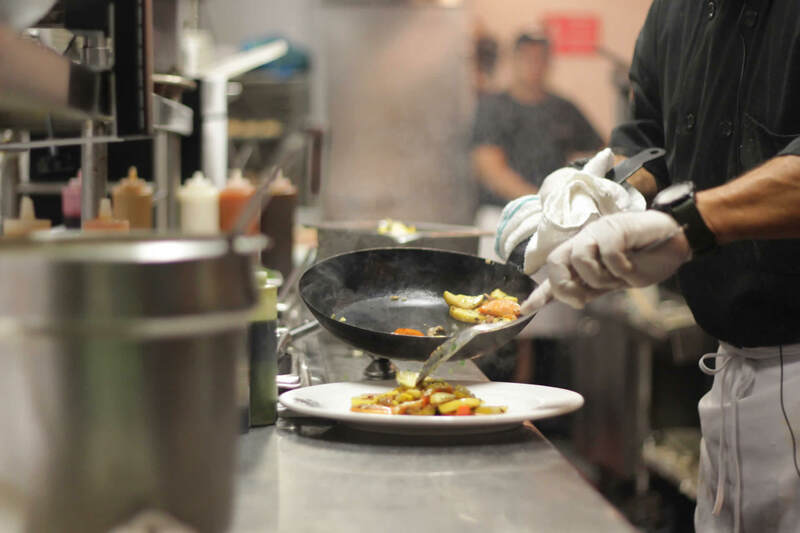 The Café menu includes traditional dinner entrees and light fare dishes for smaller appetites. The Grill: Located on the upper level, open 11:30am-2pm for lunch and 5-9:30pm for dinner daily, as well as 11am-2pm for Sunday brunch. The lunch menu features savory salads, soups, sandwiches, and entrees. 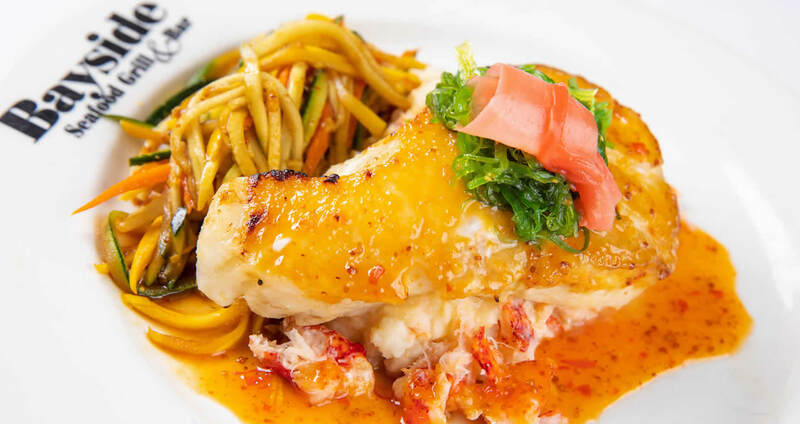 The dinner menu offers a balanced selection of appetizer favorites, salads, and soups, with a broad array of seafood, chicken, pasta, steak and other entrees. Enjoy after-meal elixirs and fresh-made desserts. 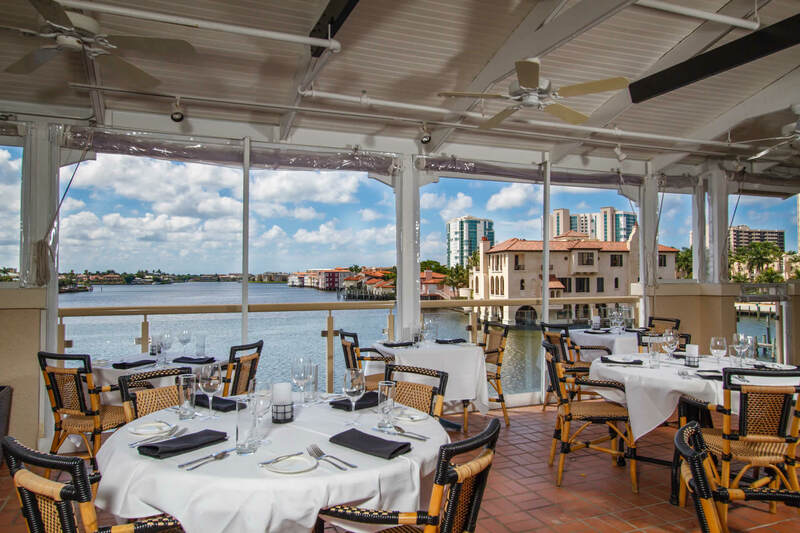 The Upper Deck: Located under a covered deck on the upper level overlooking the bay, open 11:30am-2pm for lunch, and 5-9:30pm daily for dinner, offering the Grill menus. The Upper Deck Bar & Outdoor Lounge: Bar seating is covered. Enjoy umbrellas over seating in our open-air lounge. Opens daily at 11:30am. *Drink service is also available on the covered front porch in front of Sukie’s Wine Shop. Order at the Café bar.